As the clock winds down to zero, you backtrack in time to drop a perfect pulse bomb on the enemy position, blowing apart the greedy robot-turned-turret and his teammate, a slick sniper assassin who was too busy tracking her prey to notice your explosive gift. The game heads into overtime as the payload wagon rests mere inches away from the victory point, but your team has just been annihilated by an enormous magical dragon. Then you hear it: “Heroes never die!” As your one chance, your team’s Mercy hero activates her ultimate ability and brings your entire group back to life for one last stand. After Mei brings a scientifically sound winter to your opponents by freezing them, victory is yours. 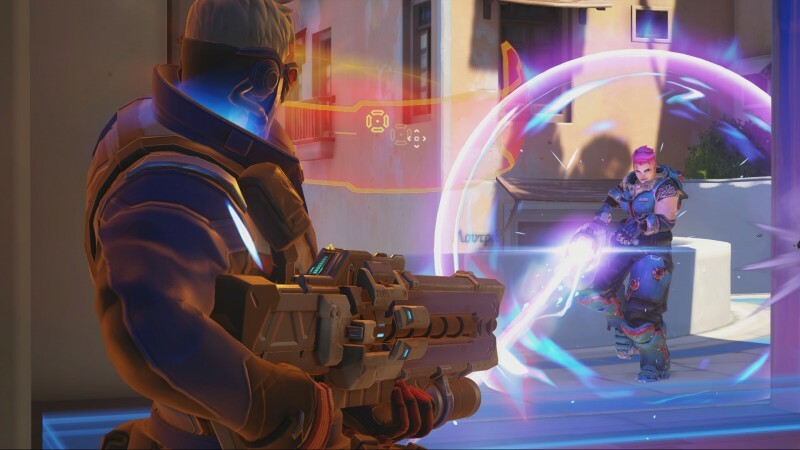 Moments like these define Overwatch, including amazing victories and last-second defeats. No matter what happens – win or lose – you’re going to have fun. 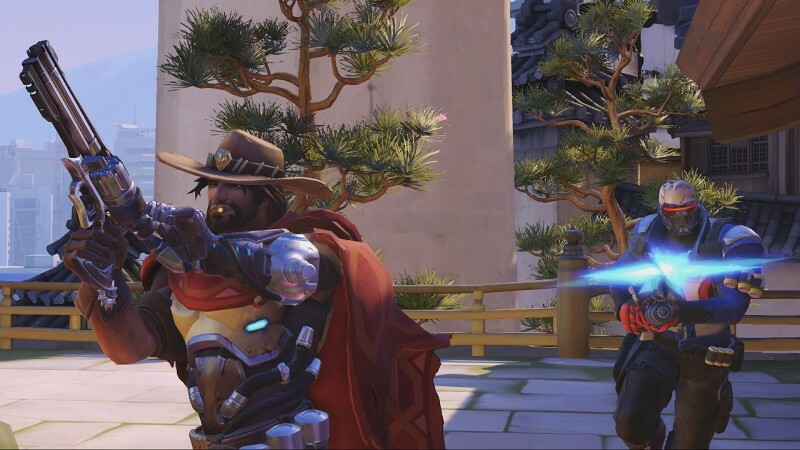 Overwatch may not have a campaign to speak of, entertaining stories emerge from the interactions with your team and your enemies. Blizzard’s influence on gaming is unquestionable, having redefined and reinvented almost every genre it has set its sights on, including real-time strategy, collectible card games, and MMOs. Wading into first-person shooter waters, specifically the team-based shooter, is a daunting prospect for any company. Even so, Blizzard has done it again, pairing objective-focused play and fast matches that encourage you to pursue objectives rather than kill/death/assist stats. 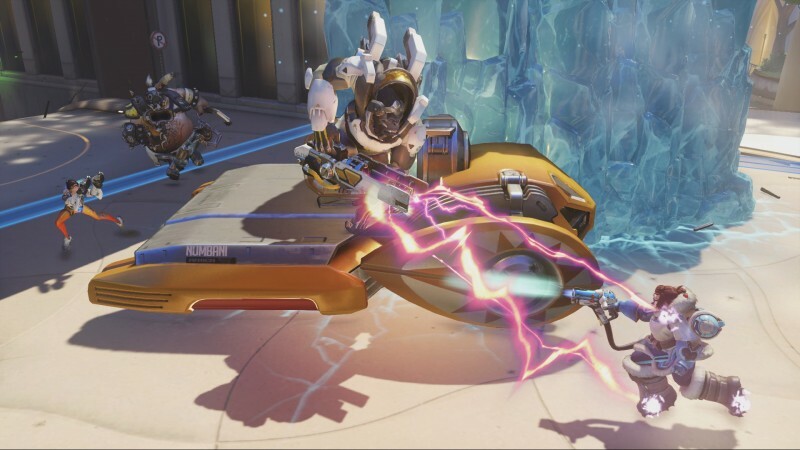 Overwatch’s strength lies in its simplicity and polish, much like Dota 2 or League of Legends. Two teams of six players each do battle on a handful of maps, and modes all boil down to some form of escorting, capturing, or protecting an objective. Other modes may be available, but the game is at its best by keeping things close to the core, with maps everyone knows and easy-to-understand modes. 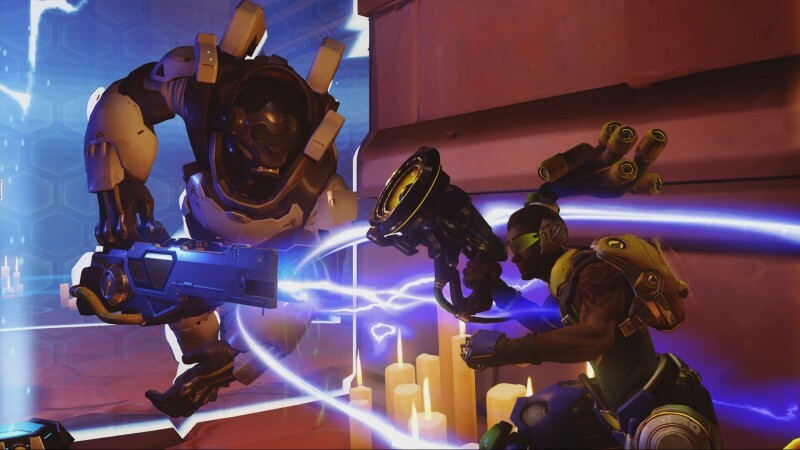 While expectations today may call for a single-player campaign or a wide variety of modes, Overwatch’s consistently chaotic gameplay stands on its own, giving players the tools to ensure that no game ever plays out the same. These elements simply form the canvas where players paint a new and unique experience, match after match. Unforgettable characters are the lifeblood and driving force of Overwatch. 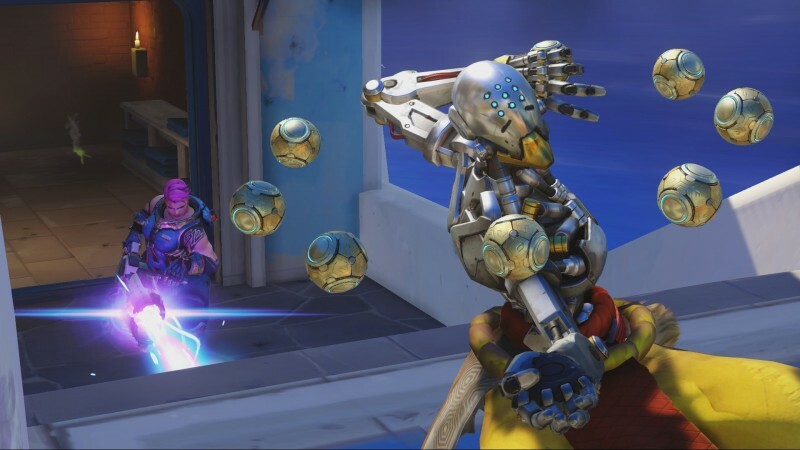 Time-traveling Tracer makes quirky British quips as she blinks through the battlefield, while tanky Reinhardt roars as he dunks enemies into dust with his rocket hammer. These personality-driven heroes have unique skillsets that make playing each one different; you’re not just embracing the sniper rifle or the rocket launcher, but ability kits that come together to form a hero. Hero personalities are tied into the gameplay directly, as it’s essential to listen for important catch phrases and call-outs to identify when players have activated their signature ultimate abilities. Widowmaker’s silky-spiderlike notification that “nothing can hide from my sight” lets you know that you can now see opposing forces behind obstacles, and you won’t soon forget the warning that comes alongside Hanzo’s deadly, wall-ignoring magical dragon or McCree’s cowboy declaration that “It’s high noon” (avoid a shootout with McCree at high noon, in case that wasn’t obvious). Banter between heroes often reveals more of the lore during matches as rivals and allies interact. Whether you’re slinging Widowmaker’s grappling hook or deflecting incoming projectiles with Genji’s blades, gameplay changes dramatically from one character to another. 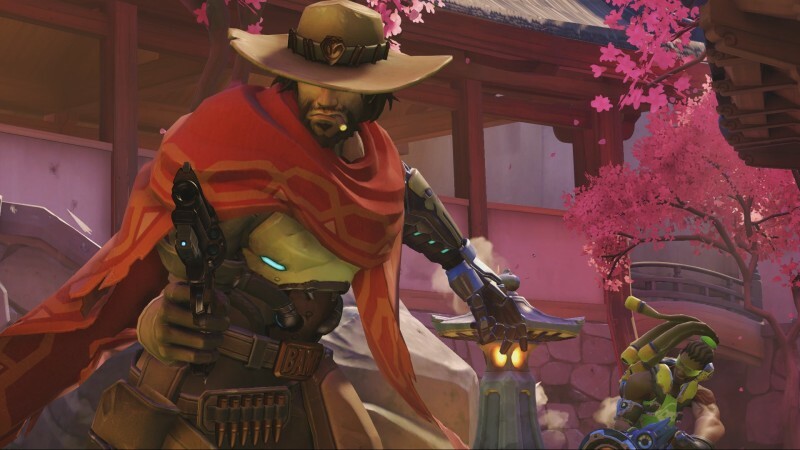 Overwatch encourages players to swap characters constantly to deal with the ever-evolving nature of a match. With no restriction on multiple instances of the same hero, you and your friends can assemble a traditional tank/support/damage group and push the payload to victory. But you can also have a lot of fun goofing around with six Roadhogs all trying to land hooks in the enemies on a map where you can pull them down a well. Overwatch provides a dynamic gameplay experiences that allow anyone to enjoy it immediately, while at the same time rewarding those who seek to become experts. You settle in and learn how to play within mere minutes, but the potential for character mastery and team-centric gameplay go well into hundreds of hours. Whether you’re playing solo with random teammates for 20 minutes or looking to become an eSports pro, you’re having an amazing time. Important sayings like “behind you” are streamlined into the game with characters saying them outright without need for player input, allowing players who don’t want to use voice chat to have access to these critical observations melded directly into core gameplay. Overwatch doesn’t have a campaign or any single-player/offline aspects worthy of note, but its profound ability to provide drastically different experiences with each hero ensures that fresh explorations and hours of renewed enjoyment are a single tap away. 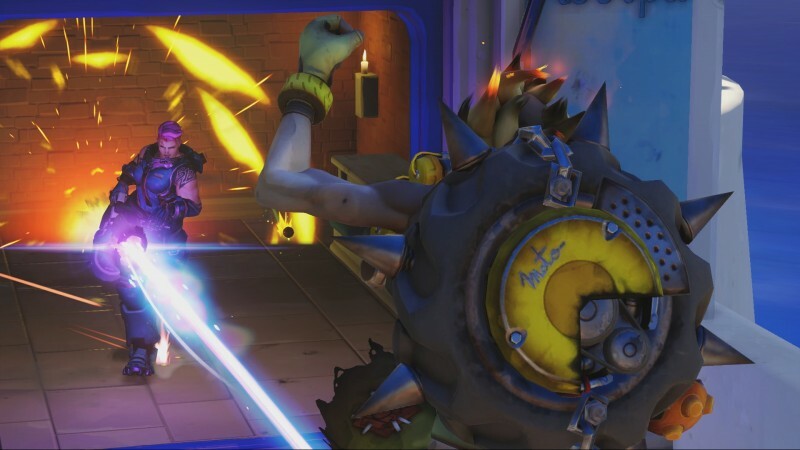 Concern regarding content offerings grow when a multiplayer-only experience arrives, but Overwatch’s laser focus on providing a polished arena where every game tells its own tale provides many hours of entertainment. In addition, Blizzard is not dividing the community or locking characters behind paywalls, as all future maps and characters will be free. Overwatch is an amazing experience. It’s fresh and consistently fun, with matches that are great in random groups, but astonishingly good when played with friends. 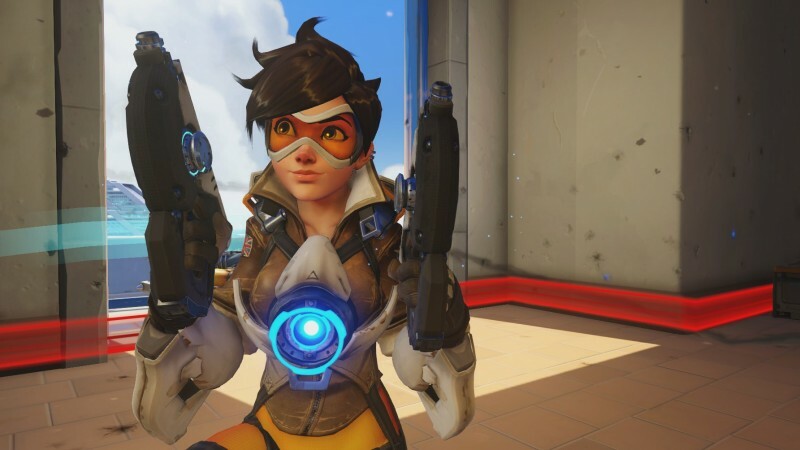 Blizzard has taken its masterful art of polishing and perfection to the team shooter, and things will never be the same. This review pertains to the PC version of Overwatch. 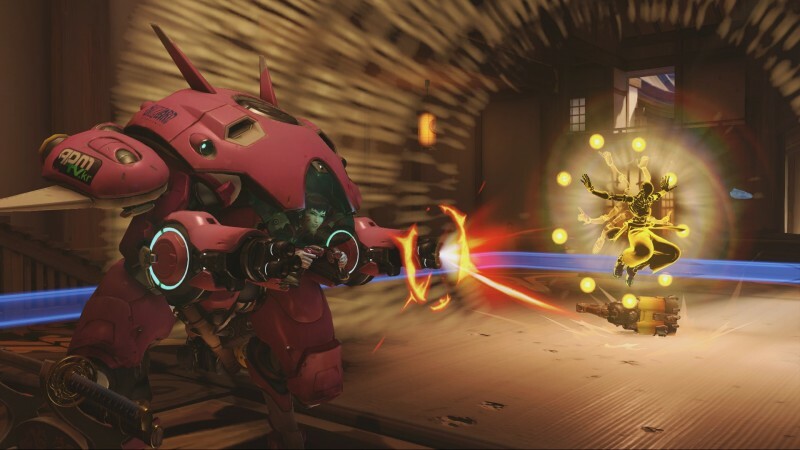 Overwatch is also available on PS4 and Xbox One. 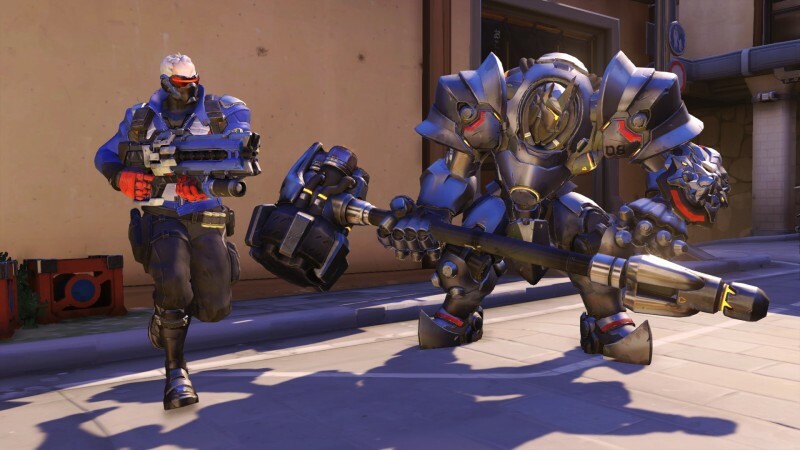 Overwatch is already an incredible game, but the promise of continued support in the form of maps, modes, and heroes could keep things fresh and interesting for months and even years. With competitive play on the horizon, eSports enthusiasts and skilled teams looking to take their game to the next level should expect new options to suit their needs sometime after launch. 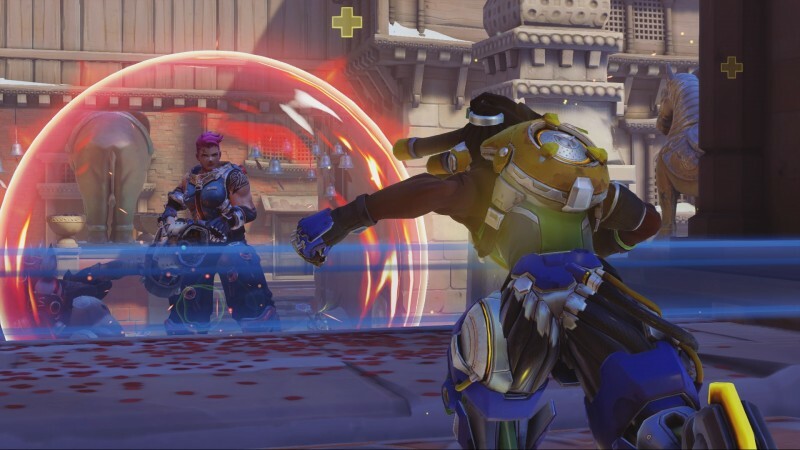 However, there are still other things we’d love to see make their way to Overwatch, such as clan/guild support and more robust spectator options. Overwatch is an amazing experience. It’s fresh and consistently fun, with matches that are great in random groups, but astonishingly good when played with friends.